76% of marketers have business needs that are unmet by their marketing agency. This is a very interesting finding. All marketers would think of an agency as a business partner that understands their business, helps reach marketing goals and bring results. 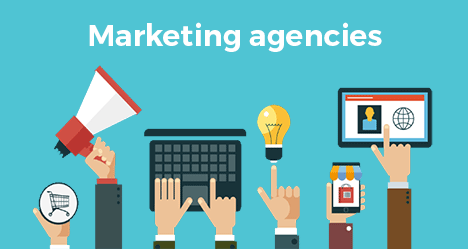 Does marketing technology help the agency to drive growth for their customers? This brings the question: What does email marketing software for agencies need to do? Technology is a part of the puzzle that should help the agency to drive growth for the customer. So client needs translate into agency needs. An agency would like services to be available to make the everyday life easier and more efficient. So it is important to know what email marketers really want from their marketing agency, that is the starting point. Then additionally what the agency needs to manage the client relationship. To start off, let’s first have a look at the (unmet) needs of the Brand. In a large U.S. survey, the Domus Client Needs Poll, 76% of marketers said they have business needs that are unmet by their current advertising and marketing agencies. From what we see, the uncovered needs include taking advantage of Big Data opportunities (36%). And measuring and reporting the impact and ROI of marketing and advertising programs (28% of respondents). In a way, a marketer should feel that an agency is a partner that helps understand metrics and bring results. Providing actionable segmentation is less of a problem. Digital Marketing agencies often handle multiple email marketing or marketing automation projects. They tend to deal with the marketing campaigns of their customers, or even software houses, Value added resellers and Production companies should be considered as a market niche that needs special functionality and assistance that often succeeds their client’s needs. Are Marketing Agencies Platform hoppers? As a Digital Marketing agency, you handle various online projects for your customers, you are part of the strategy, you drill down on Big Data, you are doing creative, you edit content, you handle social media, you run the display ads, the AdWords campaigns, the email campaigns etc. The typical account manager is more like a ninja, jumping from one platform to the other. The aim of the full-service email agency is to help make customers worry free while achieving online results. The importance in the case of full-service agencies and organizations is the fact that they need features that would allow managing multiple Clients at the same time. That gives them the opportunity to execute marketing activities – amongst which, email campaigns and marketing automation campaigns in single environment more effectively. Zooming in on email marketing, you need to be able to manage the email campaigns of all your customers efficiently, through a single user interface. Give them access to their reporting if you wish, and take advantage of the economics of scale in pricing. As said, Agencies need to handle multiple clients at the same time. This calls for the Email marketing Software to offer a parent account, to be able to add several sub-accounts that the agency manages. The Agency should discuss if their clients get a customer login to their account with their own username and password. Especially if they do several tasks themselves. This access should be without seeing the reports of other customers, billing pages and often without being able to purchase email credits directly. A marketing agency also has their own business to think about. An agency might want to handle their own commission plan and be able to control their own pricing and margins. So the price that the end customer would see and pay is the one that they have decided and agreed upon. For instance, if your customer needs to purchase a credit plan of 300.000 credits, which costs let’s say 600 USD from your ESP, and you decide that you want to set a profit margin of 25%, you want your ESP to charge the end customer with 550 USD, as a markup, and receive the credit of 150 USD back at your own master account after payment. Same type of kickback happens more or less with any kind of media buying. A marketing agency can also take advantage of economies of scale in pricing. The email marketing software for an agency would be even more affordable and profitable, even if the agency is not setting a higher price for their customers. Let’s say the marketing agency is handling the email campaigns of two customers and reporting to them. Their email list consists of 30.000 subscribers, and 15.000 subscribers respectively. Until now, the agency maintained two different accounts in his ESP, the one costing $120/month for 25.000-50.000 recipients for unlimited campaigns, and the other $70/month for 10.000-25.000 subscribers for unlimited campaigns. Surely any marketing agency would prefer to add both clients under a parent account and manage these two Sub-accounts with 45.000 subscribers for only $120/month, getting an additional agency discount from his ESP. A marketing agency can choose to present the email marketing software as their own solution. They would need to be able to “White Label” the ESP. The clients shouldn’t see what technology is under the hood. Those solutions are limited in number. So choosing a white label email marketing solution can be a real headache. A true white label email marketing software for an agency needs to be able to make all the links of the email campaigns go through a custom domain. When the email marketing agency sends an email campaign for a customer, the links inside the HTML newsletter will lead to yourcustomer.youragency.com, instead of yourcustomer.yourvendor.com. So practically, that means that email marketing agencies could offer this service like it was developed by them, so they are actually reselling the service. You want this service to be completely hidden, and the only firm one sees behind this is your agency. The true and everyday needs of any given brand is not science fiction. Brands should show the way. Email marketing software for an agency that allows Client Management, is the answer to many problems and the solution of various everyday issues. An account manager working with a customer cannot always be a superhero. And as a human, he makes mistakes. Imagine him having a single account, with all the databases of his customers inside. Bad things happen. The worst thing that could happen is to send a newsletter to the wrong database. So let’s get back to the survey mentioned above, about the unmet customers’ needs. An email marketing service built for agencies would help them improve the ROI of email campaigns more effectively for their customers. Wouldn’t it help them take advantage of big data opportunities, and share this data with their customers in a more secure manner? Email Marketing services should give agencies less things to worry about. Is this comfort? I think so. It surely is practical, affordable, effective and brilliant, making the everyday life of email marketing professionals more efficient.